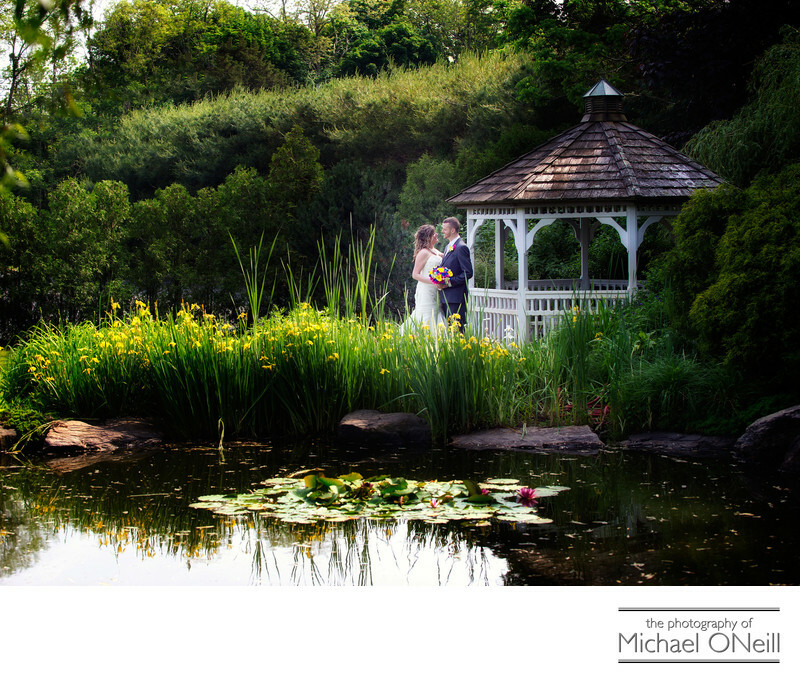 This wonderful garden with it’s own lily pond and gazebo is located right on the grounds of Vineyard Caterers in Aquebogue, NY. As the name implies this amazing wedding venue is located on a working vineyard in the Long Island Wine Country on the north fork of Long Island, New York. A beautiful outdoor ceremony plaza is overlooked by the covered deck where the cocktail hour is held. The main ballroom is beautifully appointed and features a double staircase that descends from the bridal suite making for a spectacular grand entrance into the reception by the bride and groom and their wedding party. The lobby is equally beautiful and I just love coming to this establishment to take wedding pictures. Many of the Long Island wineries/vineyards on both the north and south forks of the East End have taken to catering wedding receptions. I have had the pleasure of photographing weddings at Raphael Winery in Peconic, Martha Clara Vineyards in Riverhead and Macari Vineyards in Mattituck. Each of these venues has their own unique styles and wedding photos from all of these places can be found here on my web site.